All right, here’s the stash that started it all. 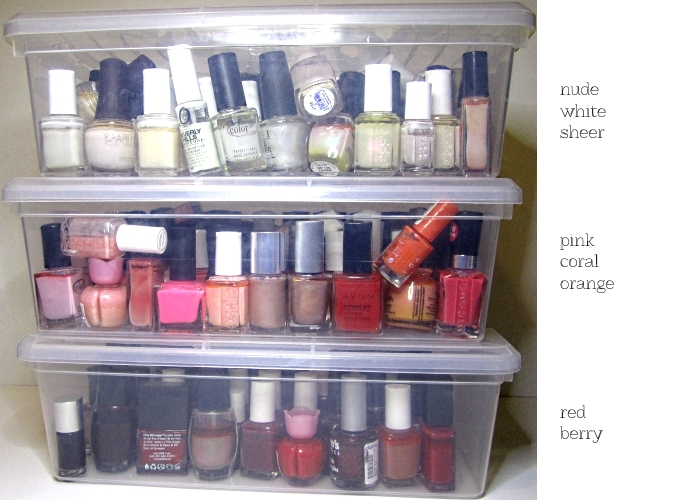 If it wasn’t for my growing nail polish collection, I would have never tracked any of my makeup in a spreadsheet. And out of everything I hoard, I would say that buying nail polish is the most compulsive for me. They’re just so much fun! No guilt. No commitment. 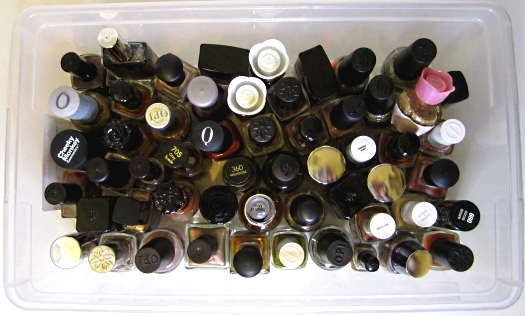 And nail polishes don’t go “bad” per se – they can ALL be revived with thinner even if they thicken over time. The oldest polishes in my collection are from the 90’s! I’ve done a lot of purging over the years of duplicate shades or formulas that I don’t care for. My current collection stands at 498 but if I count all of the ones I’ve given away (yes I track those too so I don’t repurchase by accident), the number would be closer to 570. I keep them sorted by colour in clear airtight bins. The larger bin measures approx 12″ x 8″ x 4″ and the smaller one is an inch shorter. I have a few smaller bins for random colours. 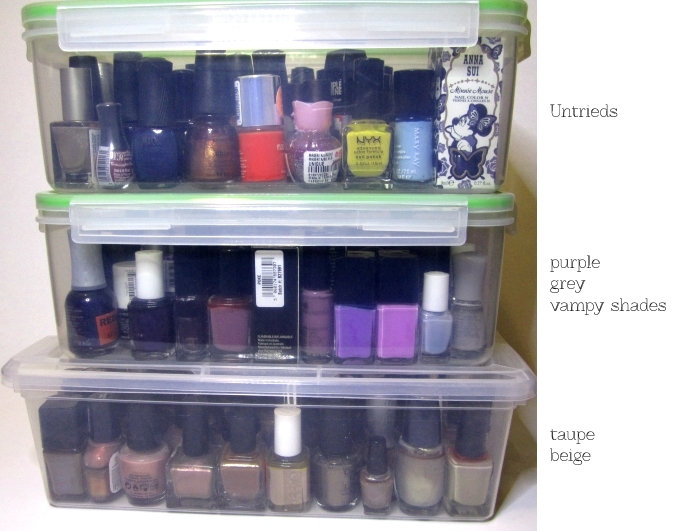 I know a lot of nail polish “enthusiasts” store their nail polishes in the Ikea Helmer, but I prefer keeping them in airtight containers. 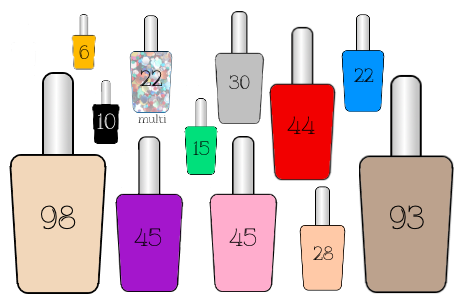 They’re more portable and keep the nail polishes fresher for longer. I also own a couple of small clear acrylic wall racks (a beauty supply store was selling their old displays for cheap) – I got them in order to display my more frequently used nail polishes but right now I don’t have the space to hang them up. 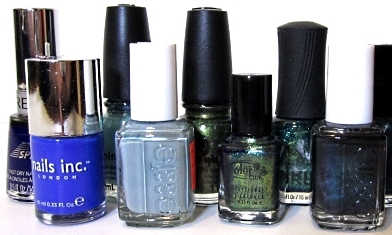 It’s funny, as much as I own, I still think there are gaps in my nail polish collection. I’m not really into large glitters or crazy colours… but I feel like I don’t have enough bright pink or green shades – am I nuts? 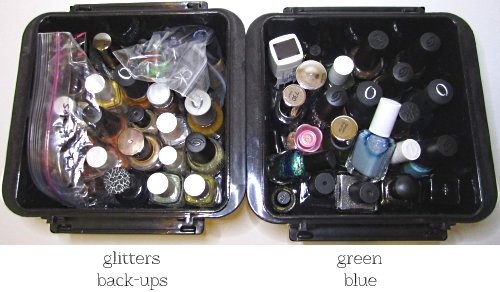 What’s your nail polish stash like? I’m seeing so many nail posts lately! I need to make more time for mine! It’s probably a bit challenging to do your nails now with a toddler! I recommend a quick dry top coat! Haha is there anything that dries in less than a minute? Maybe not a minute, but the Poshe fast dry top coat is very good – I can go about doing normal stuff after about 5 minutes! And you can apply it on top of still wet polish (that’s actually how it’s meant to work) Give it a try! I’ll look for it! Where can I find it? Sally Beauty Supply is where I found mine! I loved the way you organized your polish. I need to take a page out of your book! They would be so much easier to sort through. I followed your blog and can’t wait to see what you post in the future! I would love if you would follow my blog https://blogatsoshesays.wordpress.com/ as well! Glad to know that I’m not the only one who doesn’t much care for the Color Show polishes? 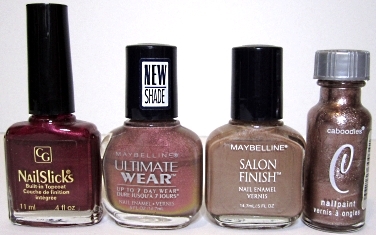 I did, however, find a really nice mannequin nail shade from one of the LE collections so I hoarded 3 bottles of those. 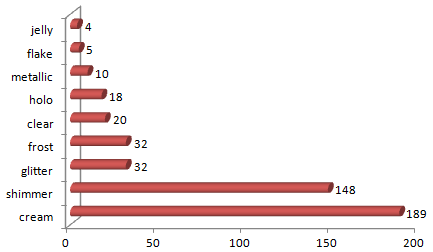 But overall, the range leaves me underwhelmed. The Caboodles polish handle was a PITA to hold though – looks nice but not useful! Yeah I am not a fan of the Maybelline CS line, I just look past them, I have a couple for the sake of having them (mainly LE as well), but I never go out of my way for them. OMG. This is dreamy to me. I have a SEVERE nail polish addiction. I’m at over 250 polishes of every brand under the sun. 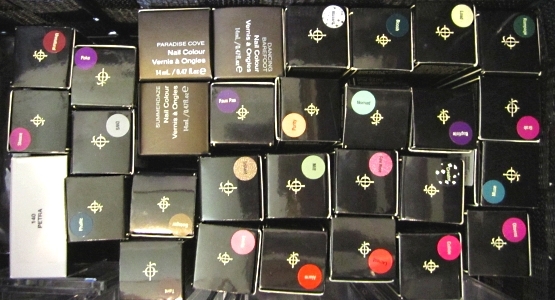 Chanel polishes are a particular weekness…which I hate, as they are now $35 a pop (taxes included). UGH. I don’t own a single Chanel! I’m not sold on their quality… and yeah so pricey. The only high end polishes I’ve had are Guerlain and Dior and I really liked the quality of both of them. Wow – really? That isn’t my experience. I love Guerlain and Dior too…I hate the fat, messy Dior brushes though. oh-my-god I need stats like that for my stash! What a great post, and great collection! I know… but I don’t think I could part with that many nail polishes!